"HELP! My Students Can't Write!" 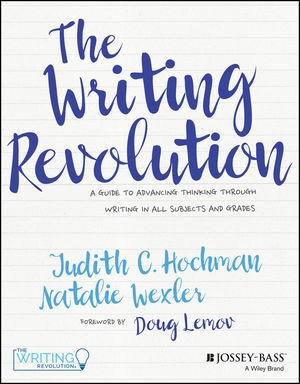 Why You Need a Writing Revolution in Your Classroom and How to Lead It. TWR is as much a method of teaching content as it is a method of teaching writing. There's no separate writing block and no separate writing curriculum. Instead, teachers of all subjects adapt the TWR strategies and activities to their current curriculum and weave them into their content instruction. But perhaps what's most revolutionary about the TWR method is that it takes the mystery out of learning to write well. It breaks the writing process down into manageable chunks and then has students practice the chunks they need, repeatedly, while also learning content.